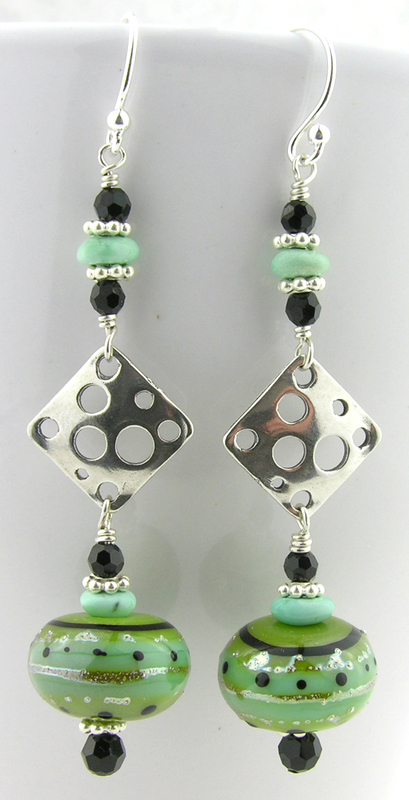 silver spacers and small Swarovski crystals. 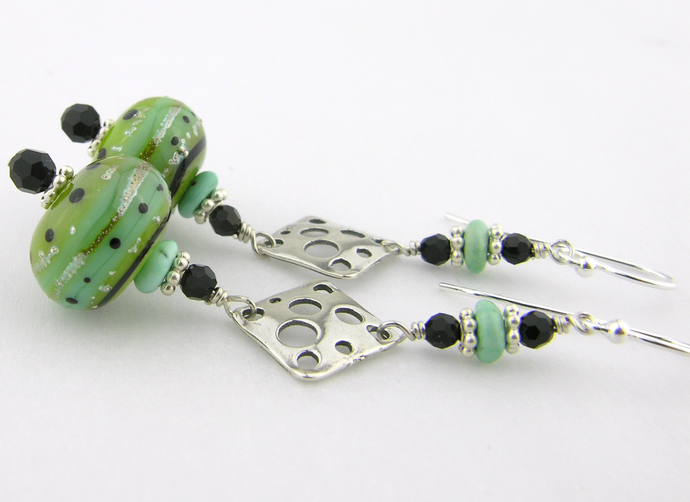 They are securely wire wrapped with sterling silver wire. They hang from sterling silver, hook style ear wires. They hang down a bit over 2 1/2" (6.4 cm). See below for other ear wire options. NOTE: What is pictured is the shepherds hook style ear wire in sterling silver. Let me know in a comment or message if you would like the ear wire style or metal changed. I can also add plastic ear wire stoppers to the backs of the ear wires. Llet me know if you would like stoppers added.